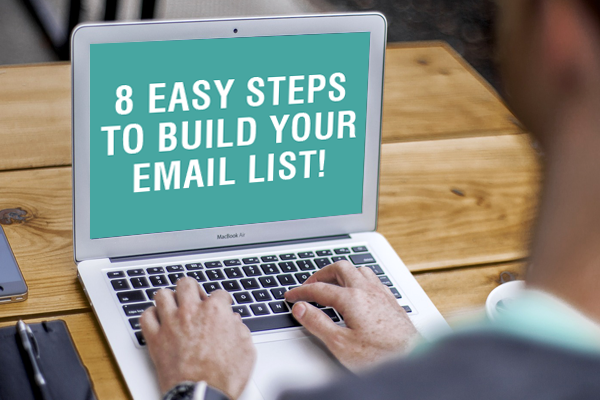 8 easy steps to build your email list! Building an email list is very important for email marketing. A Good email marketing list will be the foundation to increase your ROI. The two main characteristics to build a mail list are size and quality. To develop a better customer relationship you should make sure that your email list is dynamic, targeting and acts as a foundation. Wondering how to build email list for your business marketing? Here are some ideas that will help you build your own unique and robust list. Building your email list should be done with correct planning and strategy. Try to find out your target audience and their interests. Lack of planning will lead to poor marketing so planning according to your audiences interests will improve engagement and business. You can to clearly explain your subscribers about the promotions, newsletters, how often you will mail etc. You also let them know about the benefits on being on your mailing list. By managing your audience expectations you will get a lot more people to sign up. Content should be meaningful, specifically provide something of value to your readers. Provide them with interesting information’s, discounts, special offers, tips or giveaways. You can also include an opt-in form which will encourage your readers to sign-up. You should make it simple for your readers to find and sign-up for your email. Websites, blogs, social networks are the best place to show your sign-up forms. Ask for relevant information that you need for the list sign-up. Collect other information’s once you develop a relationship with the list members. Requesting sensitive information will lead customers to lose interest in signing up. Establish a level of trust between your business and readers that will result in more sign-ups. Once you have highlighted your newsletter on the web, think of other ideas that can help you advertise your business. Try finding places where you can promote your mailings. Want to know more about email marketing? Contact us, we can help you with powerful marketing technique. « Is Google’s Page Ranking Dead or Not? ?